How the year is flying by. Before you know it, it'll be the Cheltenham Festival 2019. In anticipating of that, let's have a look back to the 2018 Gold Cup. What a great battle this was. No spoilers, in case you've been living under a rock and haven't seen it! Brave Inca, beaten just two necks in the 2005 renewal of the Champion Hurdle, returned to Prestbury Park, this time as 7/4 favourite, with A.P. McCoy replacing former rider Barry Cash. Trainer Colm Murphy wasn’t entirely happy with replacing Cash, who’d done all the schooling on Brave Inca, but the decision proved justified because McCoy had to be very strong in the saddle to drive the favourite home by a length from Macs Joy, with defending champion Hardy Eustace a further 3½ lengths back in third. The Queen Mother Champion Chase was full of incidents and produced a surprise winner, in the form of Newmill, trained by Jonjo Murphy in Co. Cork and ridden by Andrew McNamara. The 8-year-old, only joint-sixth choice of the 12 runners, at 16/1, made virtually all the running and, in so doing, avoided the various calamities happening in behind. Kario De Somain made a mistake at the first fence and unseated his rider shortly afterwards, while favourite Kauto Star fell at the third, hampering Dempsey, who unseated his rider, along with defending champion Moscow Flyer and Watson Lake. Outsiders River City and Oneway blundered and fell, independently, at the fourth last, while Fundamentalist crashed out at the second last to complete the carnage. Meanwhile, Newmill made the best of his way home to win, easily, by 9 lengths and 1½ lengths from Fota Island and Mister McGoldrick. Stayers’ Hurdle perennial Baracouda, who’d won the race in 2002 and 2003, was back again for another crack, but it was Mighty Man, trained by Henry Daly and ridden by Richard Johnson, who was sent off favourite at 4/1 on his first attempt over 3 miles. Both held every chance, but it was My Way De Solzen, trained by Alan King and ridden by Robert Thornton, and Golden Cross, trained by Michael Halford in Co. Kildare and ridden by Johnny Murtagh – better known as a Flat jockey – who dominated the finish. It was only in the final 75 yards that My Way De Solzen got the better of his rallying opponent, winning by a head, with Mighty Man 4 lengths away in third. 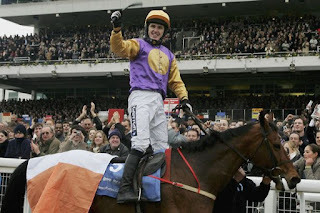 The 2006 Cheltenham Gold Cup was notable for the largest field, 22, for 24 years and the fact that the first three home were all trained in Ireland. War Of Attrition, trained by Mouse Morris and ridden by Conor O’Dwyer stayed on strongly to beat Hedgehunter by 2½ lengths with Forget The Past 7 lengths further back in third. Favourite Beef Or Salmon was a disappointing, trailing in eleventh of the 18 finishers. amateur riders’ race run by horses of a minimum age f five years. The race takes place on the Old Course over a fixed distance of 6400 meters (4 mi) during the March festival. Four miles is the longest race distance at the festival. It is a chase race which forms part of the famous course’s earliest history. For starters, this event has been held on more occasions than any other competition at Cheltenham. 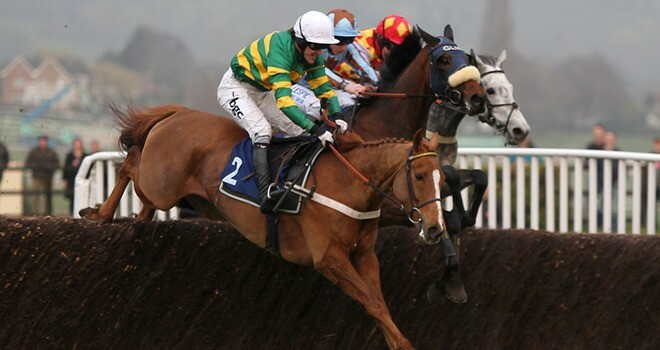 It is among the oldest races and has been run with an outstanding consistency. The Grand Annual, one of the few races introduced before the Challenge Cup, has recorded fewer runs due to many stoppages especially in the years between 1800 and 1900.
response to occurrences like war, disease outbreaks and course upgrades and renovations. It has however retained its initial spark throughout these changes. of owners and trainers who can engage them professionally. The owners and trainers take the chance to prepare racehorses that have fallen out of favour by injury or old age for pro competition. race should be considered an amateur race after in the first place. This race has been severally renamed to honour several individuals and events, among them renowned commentator Peter O’ Sullevan, Queen Elizabeth, and journalist John Oaksey. Experienced horses often have a good outing at the Challenge Cup. Ten and eleven here old horses have won the race on regular occasions. No single horse has however won the race on two occasions. is popular with fans who love stamina and resilience as they watch competitors clearing a massive 32 obstacles. victory ridden by amateur jockey John Thomas MacNamara. Spot the difference is one of five horses trained by Enda Bolger that have won the Cross Country Chase. its inception was eight years old. Ten-year-old horses hold the record with four wins out of 13 editions. 12, 9 and 8-year olds share a joint three wins. 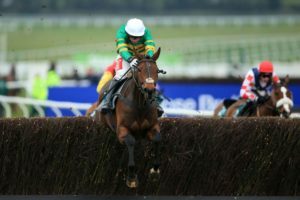 With a purse of around £50,000, the Cross Country Chase cannot really be ranked among the most lucrative prize-money races. The winner takes home around £30,000. That, however, does not take away any colour from the race that attracts seasoned racegoers and gamblers to the viewing stands in equal measure. There is always the thrill of witnessing the homestretch.